Our sports therapy service is provided by Danielle O’Connor BSc (Hons) MSST. 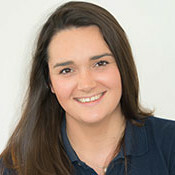 Danielle is a graduate Sports Therapist from the University of Gloucestershire and a member of the Society of Sports Therapists. We offer a range of sports therapy treatments including deep tissue massage, specific soft tissue mobilisations, kinesiology taping and strapping, peripheral joint and spinal mobilisations, and ultrasound. Helpful for various aches and pains, deep tissue massage can help reduce the risk of injury, improve performance and aid recovery. It can be beneficial for everyone, whether you’re an elite athlete, have recently taken up exercise or just suffer with muscle tension or pain. Assessments take 75 minutes and include a full verbal consultation and physical examination to determine the cause of your pain and/or injury. Danielle will then discuss her findings with you and appropriate treatment options with home exercises. We will support your rehabilitation by designing a tailored, individual exercise programme. This will focus on your individual needs and can cover anything from backs to shoulders to knees and ankles. Danielle will help you achieve your goals. Having experienced injuries, I know what is important in getting back to fitness and achieving goals. This means obtaining a swift diagnosis, appropriate treatment choices and targeted exercise rehabilitation. This allows people to return to their everyday and sporting activities safely, as well as preventing future occurrences.